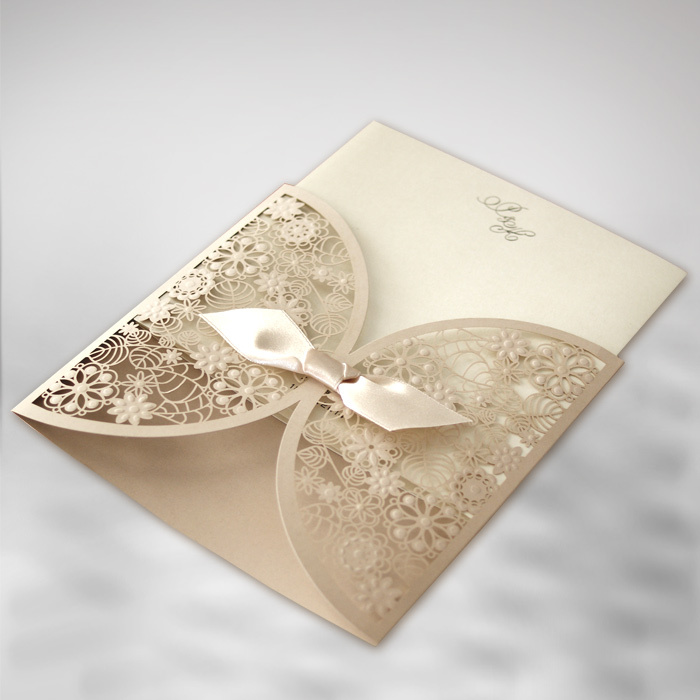 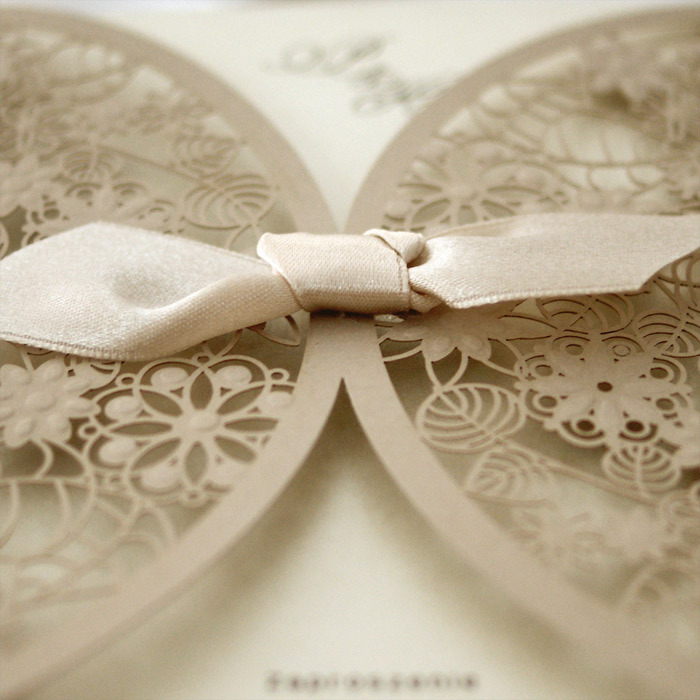 An invitation from the newest collection made from beige matte paper. 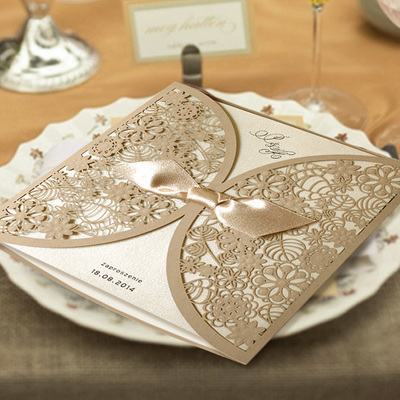 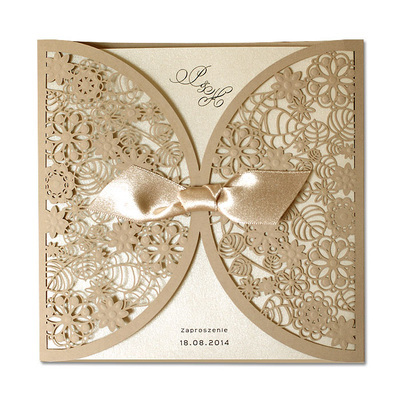 The cover is decorated with laser cut patterns and embossed accents. 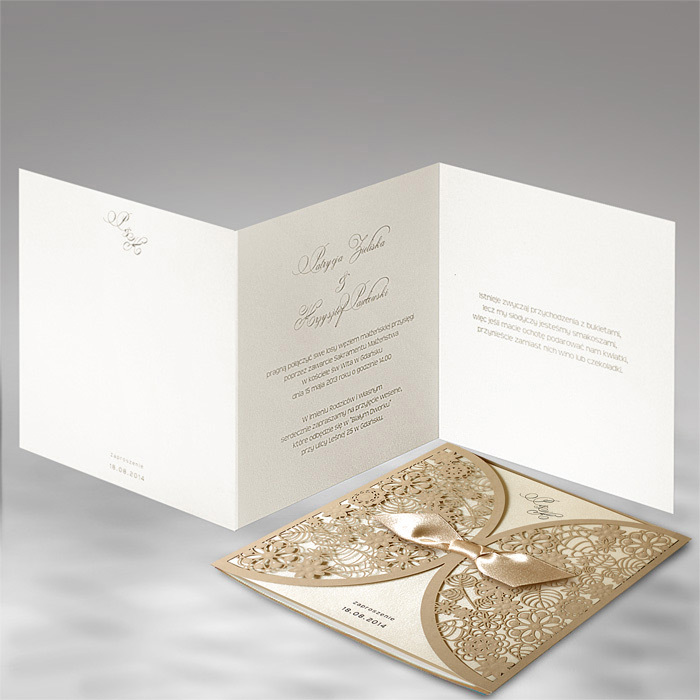 The insert for printing text is ice pearl paper. 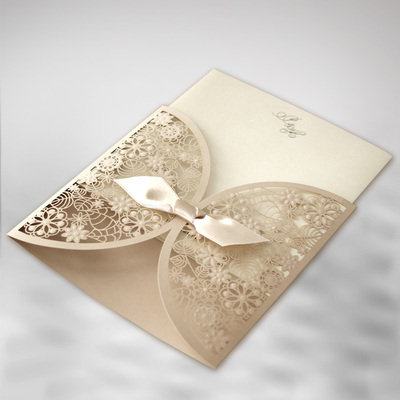 A satin ribbon is an additional decoration.The invitation is created with great care and attention to detail. Precise printing, careful execution, and high quality paper.